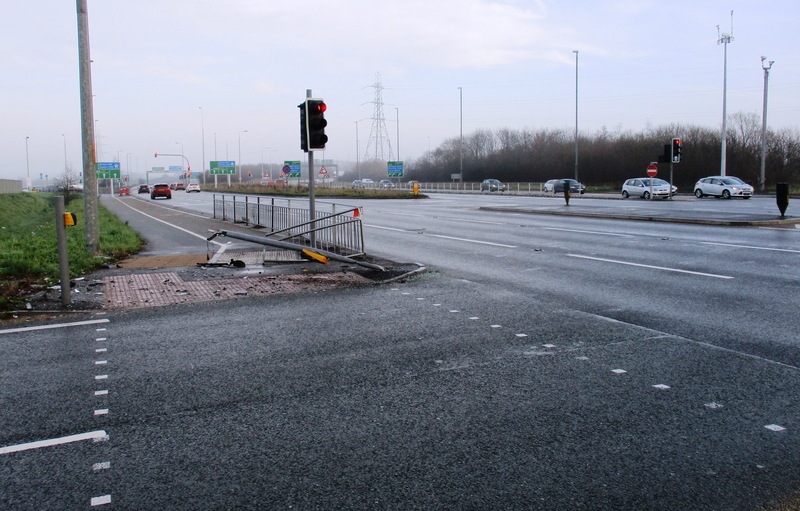 Switch Island – The accident hot spot where the obvious seems to have been all but ignored? I’m probably getting near to doing this one to death but with Highways England having just spent a few £m on ‘upgrading’ it for safety reasons I’m struggling to see how they have effectively tackled speeding. 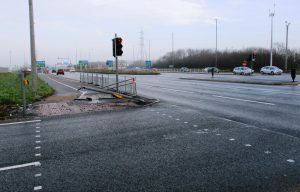 To my mind, one of the major issues at this junction has always been the approach speed of vehicles coming off the M57. Yes, I know that unfamiliarity with the junction (by infrequent users) and the complexity of it leads to accidents as well due to drivers veering from lane to lane. And it seems to be this aspect that Highways England has tried to address with new signage (although some say it has made things worse), lane lights etc. BUT the vital speeding aspect has seemingly been ‘addressed’ by just putting up large (and largely ignored) 50mph and 40 mph signs towards the end of the M57. That they are ignored is sadly a given. The other day I was traveling from Maghull to the Aintree Retail Park so had to cross the end of the M57. As I waited at the lights to cross the M57 traffic two cars literally flew past at goodness knows what speed and the drivers must have been banking on having green lights right through to the junction and onto Brooms Cross Road because the speed they were going meant there was no way they were going to be stopping. I’ve said it before and I’ll say it again, the M57 needs speed cameras at the end of it just like the M62 has at the Liverpool end just before the Rocket junction. 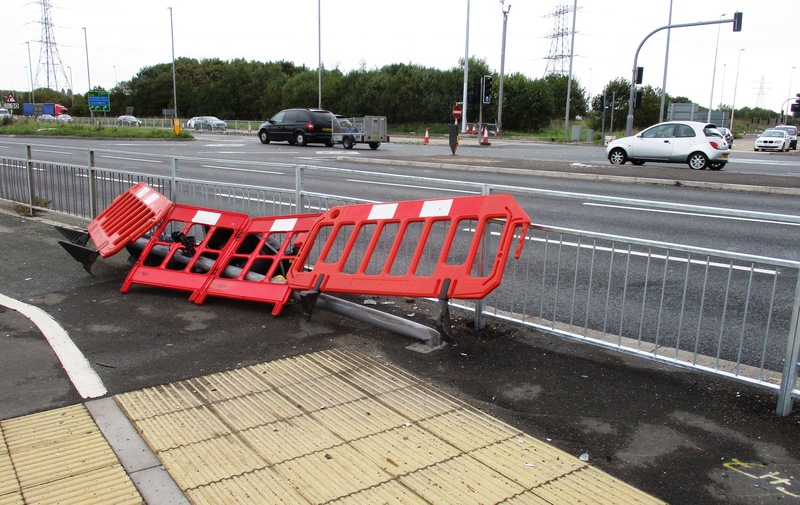 So the question Highways England is why has this obvious safety aspect been ignored? 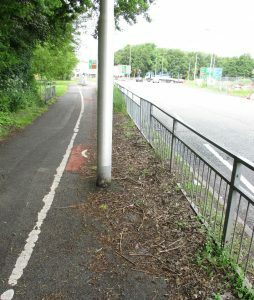 Oh and by the way, having spent all that money how come a street lamp has not been moved out of the middle of the cycle path yet around Switch Island? 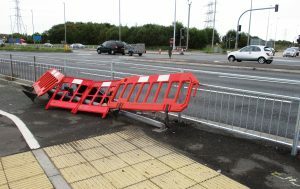 Highways England were informed of the need to sort this out well before they started the project by me and indeed by Sefton Council’s Rights of Way Officer.